Step by step, his whole career has been marked by milestones: leaving Russia, being hired by the Stuttgart Ballet and later on by the Staatballett Berlin, creating a dance foundation in Mexico… At the age of 38, Mikhail Kaniskin is a successful dancer. At 5, he discovered dance through the Georgian dances; at 8, he joined the Bolshoi Ballet School. He finished his training at ‘John Cranko’ School in Stuttgart. In 1997, he made his debut with the Stuttgart Ballet, where he was promoted to principal dancer in 2004. There, he met his future wife: Elisa Carrillo Cabrera. In 2007 he moved on to the Staatsballett Berlin. Nowadays Mr. Kaniskin is a beloved husband and father of a baby called Maya while still succeeding further in his own career. 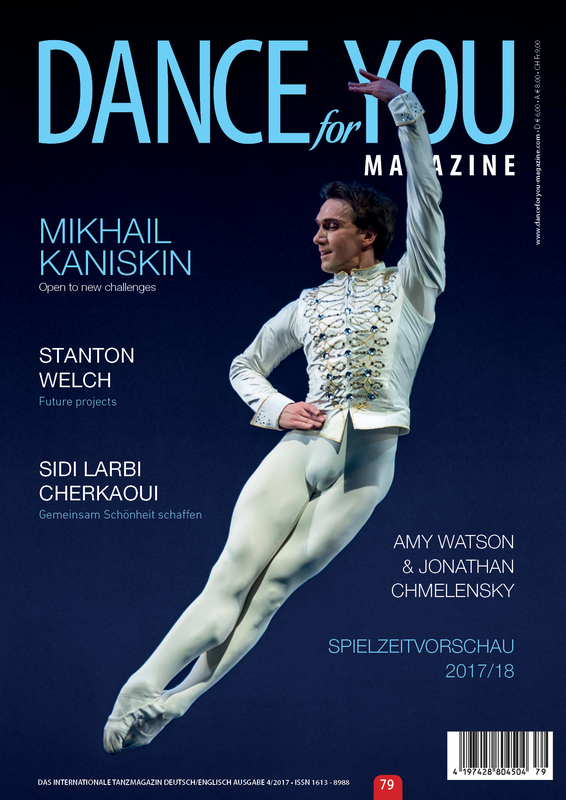 In this interview granted to DANCE FOR YOU, Mikhail Kaniskin gives an overview of his astounding career in the Stuttgart Ballet and in the Staatsballett Berlin. At age 38, how do you feel at this point of your career? At this point of my career, I feel really grateful. First of all, because at the beginning of my career I would have never thought I would be where I am now. Through all my career I’ve had amazing experiences. One of them, to dance in the world’s greatest stages such as Mariinsky, Bolshoi, Deutsche Oper Berlin, Staatsoper Unter den Linden, Stuttgart Opera House and Lincoln Center and may others. Also to perform with some of the greatest ballerinas of our time, and to work with almost all of the greatest choreographers. I feel great and strong, but obviously, the more mature you get, the more you have to work. Due to her parents’ job, Sonia Rodríguez was born in Toronto, Canada, but grew up in Madrid. Here she took her first ballet lessons with Pedro de la Cruz, and finished her training at L’ Académie Princesse Grace in Monaco. 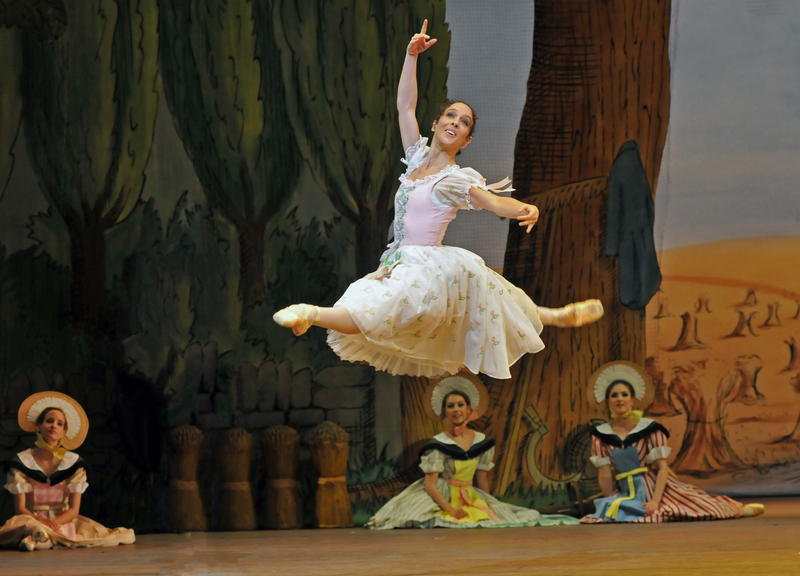 At the time she was looking for a ballet company, Canada reappeared in her life, and Sonia Rodríguez finished the round trip to her birthplace. Having joined The National Ballet of Canada in 1990 and being promoted to Principal Dancer in 2000, Mrs. Rodríguez has become an enchanting ballerina who is able to dance classical or neoclassical repertoire, and to create new roles with choreographers. She joined Canada’s Walk of Fame in 2012, and was awarded ‘The 100 Spaniards’ in 2014 and Spain’s Officer’s Cross of the Civil Merit, because half of her heart is Canadian and the other half, Spanish. Now, Sonia Rodríguez, 44, is a beloved wife and mother of two children called Gabriel and Dillon, while she enjoys further success at The National Ballet of Canada, and in her career as a writer of children’s books. In this interview granted to DANCE FOR YOU, Sonia Rodríguez gives an overview of her astounding career in The National Ballet of Canada. At age 44, how do you feel at this point of your career? I feel most of all grateful to still have the opportunity and the ability to come every day into the studio and do what I love to do. During my 27 years as a professional dancer, I have had many ups and downs, times of pure joy and times of doubt. I find myself as a mature artist who has a good understanding of my strengths and weaknesses, and with a renewed confidence and passion for my art form. 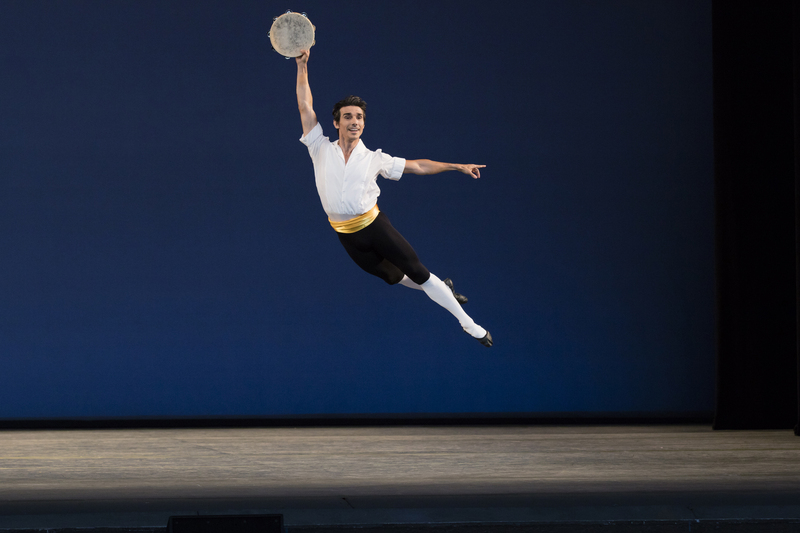 The American Dream must have seemed a utopian dream for a boy from San Fernando de Henares –a small town 14 kms away from Madrid- who, in the early 80s, was taking his first ballet lessons from Víctor Ullate. However, he did not only made his debut in VU’s ballet (1992-1995) but took a leap to the USA, where he has developed most of his career: Pennsylvania Ballet (1996-1997), American Ballet Theatre (1997-2002) and from 2003, New York City Ballet (NYCB). Principal Dancer in the NYCB since 2005, De Luz, was awarded the “Oscar of ballet” (Benois de la Danse award) in 2009, and has recently been awarded the Spanish National Dance Award. 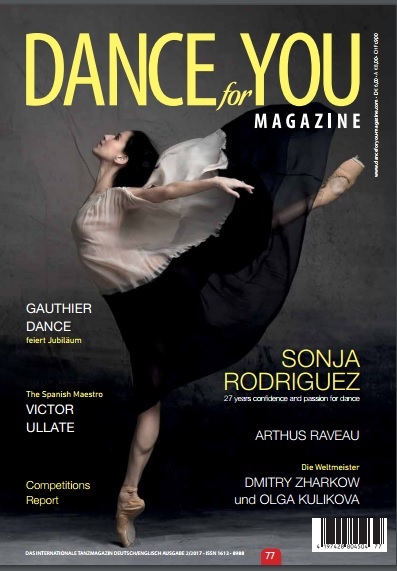 In this interview for DANCE FOR YOU, Joaquín de Luz reflects on his career and recent successes. At age 40, how do you feel at this point of your career? I’m at the best moment of my life and career, where I enjoy at its fullest every moment I have onstage; I go out there as if it was the last. And even though I have to do a lot of extra work to keep it finely tuned, my body is responding. There are always unachieved goals. I would have liked to dance at Teatro Real in Madrid (Royal Theatre) and for The Spanish Royal Family, and collaborate with Ballet Nacional de España (Spanish National Ballet) –one of my favorite companies in the world. But there are also things that I hope to achieve before I retire. I’m transitioning into the health and conditioning world. 8 years ago, I had a bad injury in my back. Three different doctors told me I would have to quit dancing. Through research, and developing a program at the gym, I found a way to stay away from surgery and to continue dancing. I have now designed a successful strengthening/injury prevention program for NYCB both for dancers and non dancers, which I hope to be teaching to trainers from other companies. Joaquín de Luz in George Balanchine’s ´Tarantella´. ©Photo by Paul Kolnik/NYCB. Glowing with pleasure and joy, Alicia Amatriain, 35, has finished an exceptional season of awards and recognition, in which she has been named as the ” Kammertänzerin” of the State Baden-Wüttemberg (the highest honour that can be bestowed on a dancer in Germany) and has been awarded with the Faust Award and Prix Benois de la Danse (being this last one regarded as the Oscar of the ballet). Principal dancer of Stuttgart Ballet since 2002, her story started 1400 kilometers away from Stuttgart, in a small town called San Sebastián, in the North of Spain, when Alicia’s mother signed her up to ballet classes at the age of four. A star was born. “There is no specific reason why it was ballet: it could have been judo, English or anything else”, admits. It is said by the critics that versatility is one of her best skills. She admits having fun with the change of roles, although she enjoys the dramatic parts best. In this interview given to DANCE FOR YOU MAGAZINE, Alicia Amatriain gives a review of her lastest succes and her overwhelming career in the Stuttgart Ballet. Alicia Amatriain in Jerome Robbins’ Dances at a Gathering. Alicia Amatriain in Jerome Robbins’ Dances at a Gathering © Stuttgarter Ballett.